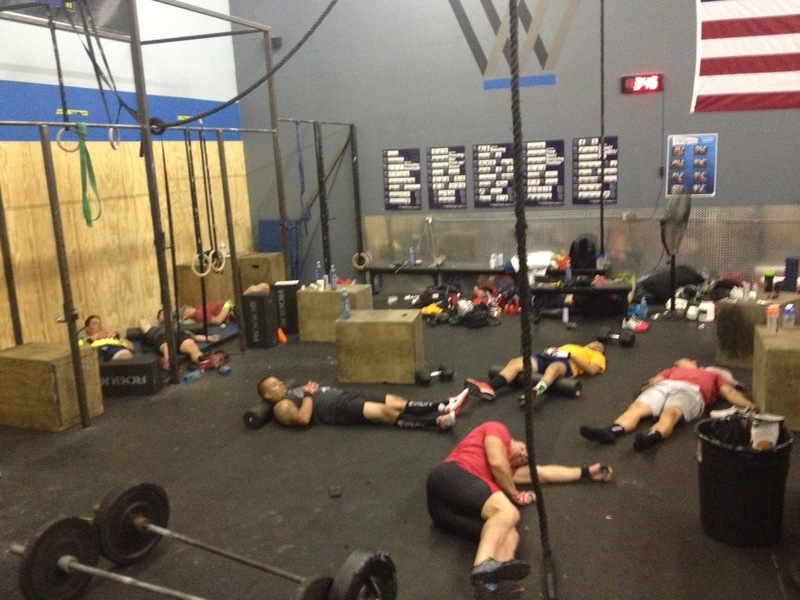 The 22nd hour of WOD 4 JROD. Two hours to go, as athletes battle the mental barriers to get up and begin the final two workouts. This pic was not staged. August 31st: The Summer Shakedown in Huntington Beach is a team competition. We have one team registered so far with Garrett M., Spencer M., Carly R., and, Melissa I. Make sure you mark your calendar to come support CrownTown’s community. *NOTE: this WOD has a 43 minute time cap. FINISH IT!